Nazis capitulated multiple times to Allied Forces 70 years ago. Today, May 9, is known as Victory Day to those Packingtown Review editors and contributors haling from ex-Yugoslavia, ex-Soviet Union, and other places in Europe. One of them is yours truly. As a shameless dilettante, I spend some of my days playing music (who knows why), and famous Italian Resistance song “Bella Ciao” has been in my repertoire for some time. 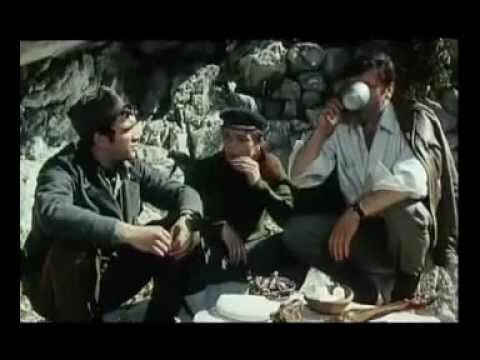 Back in 1969, the song appeared in the World-War-Two-themed movie Savage Bridge by Hajrudin Krvavac–the pic here is a still from that classic of its genre. Here’s a Soundcloud link for my version, and you can read more about the song there. And elsewhere. PTR is still accepting online submissions! Send your submissions to packingtownreview@gmail.com! I also thought I’d post this silly ode I wrote to New England inspired vaguely by poet Kevin Young. Hopefully it will make you laugh. touch me—the wind of you. Carmen Gimenez Smith comes to Bennington tomorrow. Write-up to come.